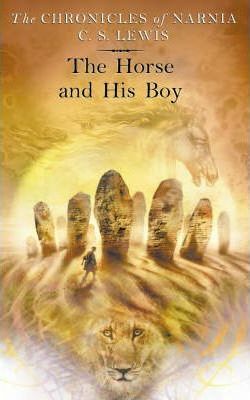 A paperback edition of The Horse and His Boy, book three in the classic fantasy series, The Chronicles of Narnia. This edition is complete with interior art by the original illustrator, Pauline Baynes. The Horse and His Boy is the third book in C. S. Lewis's classic fantasy series that has drawn readers of all ages into a magical land where horses talk and destiny awaits for over sixty years. This is a novel that stands on its own, but if you would like to return to Narnia, read Prince Caspian, the fourth book in The Chronicles of Narnia.